This is such a stunning and beautiful crushed diamond photo frame. 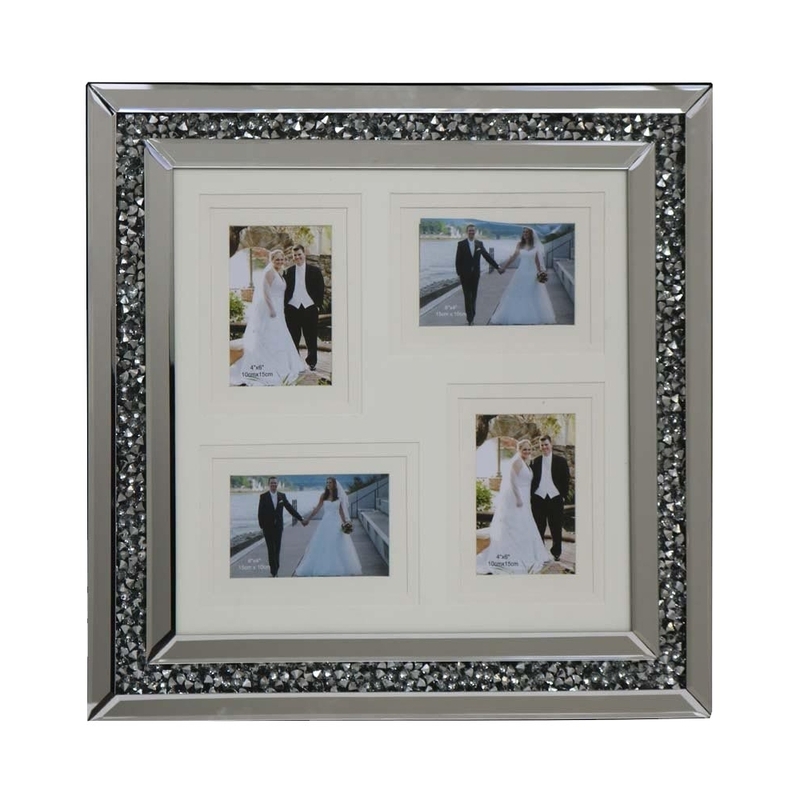 This photo frame is decorated with acrylic crystals and is in a mirrored finish. This stunning photo frame can hold four of your different memories, bringing your house to life. Displaying your memories in this will make you home feel more homely. This cute photo frame is part of the Gatsby collection.